I had no idea that any of these books were coming but I'm very happy to have received them. They are all October releases and I can't wait to get started! We got some of the same books this week! I'm really excited for Rebel Blue! The Dollhouse Asylum sounds really good! Great haul. LOL -- I got the Sick and Rebel Blue package too! All of those books look so good. 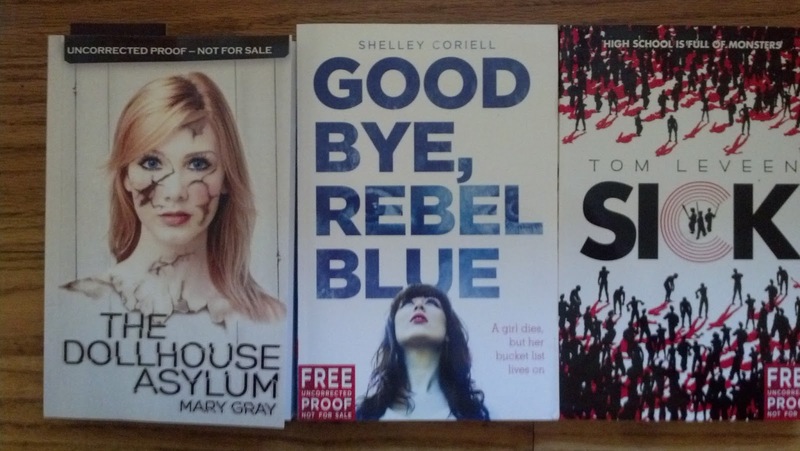 I really like the covers for Goodbye Rebel Blue and The Dollhouse Asylum. Hope you enjoy them!